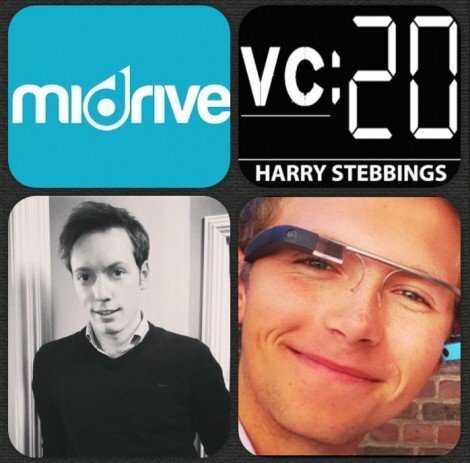 Scott Taylor is the CEO @ miDrive, a startup focussed on reinventing the learner driving experience. Scott is also an advisor to leading London based VC firm EC1 Capital. If that wasn’t enough he is a mentor at Richard Branson’s Virgin Startup Program and an investor in Coupang and Mavrx. Prior to miDrive, he was Chief Product Officer at Livedrive, one of Europe’s leading cloud storage providers, assisting with its sale to j2 Global. 1.) Where it all began for Scott and how he made his move into technology and venture? 2.) Having founded several successful companies, what Scott believes the qualities required to be a good founder are? 3.) The hardest part for Scott in building companies and how he overcome them? 4.) What is Scott’s role at EC1, what is he looking for in companies at EC1 and how does that differ from his own angel investments? 5.) At Virgin Start Up, what is the process like to attain funding? 6.) What are Scott’s views on early stage funding? Does he agree with the friends and family round? 7. )What would you suggest to entrepreneurs looking to gain external capital? Next 5 years for Scott? Asian tech market? Favourite book and why? Most recent investment and why he said yes?